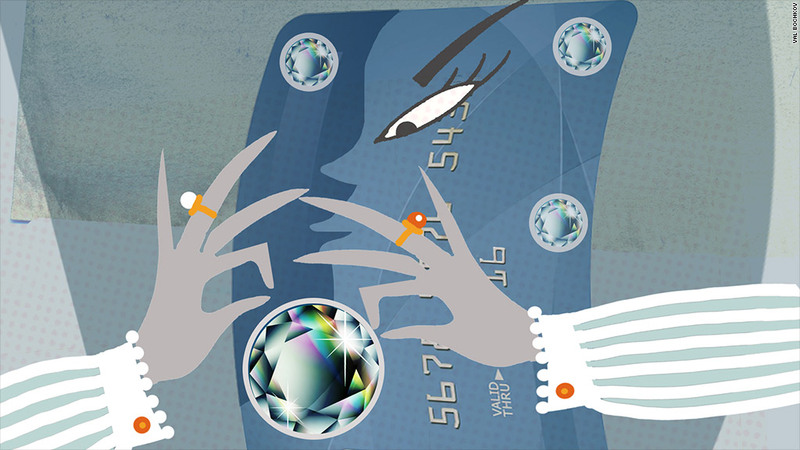 There's nothing like a diamond to flaunt your elite status, and now some credit cards are encrusted with the flashy gems. This summer, Qatar National Bank launched the World Elite MasterCard in the Middle East and Africa, which is available on an invitation-only basis and is embedded with a genuine .01-carat diamond. It's targeted at "the VIP luxury traveler," has no spending limit and comes with perks like a personal shopper and a "luxury lifestyle concierge," who helps with everything from hiring a celebrity guest for a child's birthday party to reserving a limousine. Not to be outdone, the Eurasian Bank Diamond Card, issued in Kazakhstan, is adorned with a .02-carat diamond in the middle of a gold heart.